We may think of snacks as inconsequential food eaten randomly throughout the day – a low-cost filler to keep hunger at bay or to satisfy boredom or avoid a task. 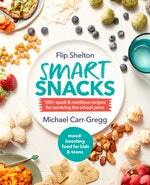 But in Smart Snacks, Flip Shelton and Michael Carr-Gregg reveal that seeing snacks in that way is to our detriment. Poor snack choices can unravel us mentally and physically. They can impact our ability to concentrate and quite simply operate anywhere near our optimal efficiency. And too many sugary, salty and fatty snacks are dangerous to our health. 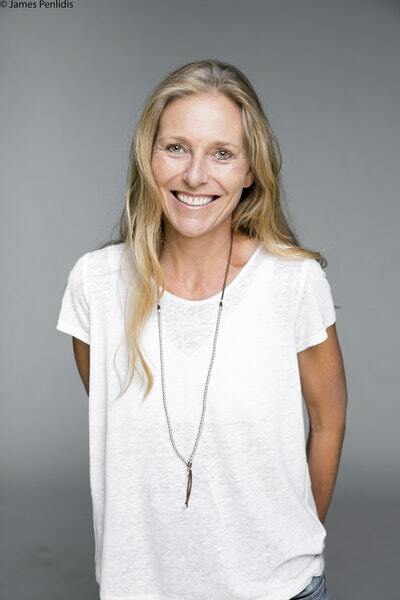 So in Smart Snacks, Shelton and Carr-Gregg offer alternatives: healthy snacks that will help us satisfy hunger without overeating or disrupting meal patterns. Here are their top ten tips. Drink water first. Keeping fluid levels up is as important as eating well, if not more so. A glass of water is always a good place to start. Eat small, smart snacks often. When snacks are made with nutrient-dense carbohydrates, healthy fats and protein, they can help prevent sudden drops in blood glucose levels. In addition, they allow us to reduce our intake at traditional meal times. Smaller meals are generally easier to digest and make us more energised than big meals, which tend to make us lethargic. How often and how much are subjective, as smart snacking is not prescriptive. It’s not a one-size-fits-all approach so experiment with what works for you and your kids. Sit down and eat slowly. In 2009, the Organisation for Economic Co-operation and Development released a report which showed that Mexicans, Canadians and Americans are some of the fastest eaters in the world, while the French and the Turkish were the slowest. Australia was the seventh fastest – but in this race, fastest is not best! It’s easy to lose track of what you eat and drink when you’re on the run. Even with snacks, encourage your child to stop what they’re doing, sit down to eat and chew properly so their body and brain registers that they have consumed something. This can help avoid overeating, and chewing food thoroughly aids the digestive process and the absorption of nutrients. Be prepared. We’re pinching the motto that Robert Baden-Powell wrote for the Scouts back in 1904 because the same goes for snacks. With a little forward planning, whether that’s on a Sunday, alongside preparing dinner on a weeknight or even in the morning before leaving the house, you can put together a stash of healthy snacks for your kids to have on hand when hunger hits. Choose carefully. There are always choices, even when you’re in a hurry or hungry. Make it good, better or best. Choosing to make better choices becomes a habit (and you can use our recipes as your trusty go-to options). Labels don’t lie. Read them. Look at the ingredients list and the sugar, sodium (salt) and saturated fat content. Don’t get sucked in by advertising and clever marketing. Quality counts. Wholefood snacks are a brilliant way to inject some quality nutrition into your child’s day, so don’t waste the opportunity to add some good stuff. Keep it real. Choose food that looks like food, and is fresh. If it’s packaged up to survive on a supermarket shelf for months, chances are it’s full of preservatives and other nasties. Full-fat foods are fine. When foods like cheese and yoghurt have the natural fat content reduced or removed, it is replaced by sugar or thickeners or both. Full-fat is fine; the only thing you need to reduce is the portion size so you still get the nutritional benefit. Look for hunger cues. Are your children really hungry – or are they thirsty or bored? It is important to be aware of hunger cues and respond to them appropriately to avoid your kids eating snacks when not necessary.